Vanguard Hotel Guangzhou, a deluxe 4-star business hotel invested by Yongcheng Industry Co. Ltd. is open at the end of February. 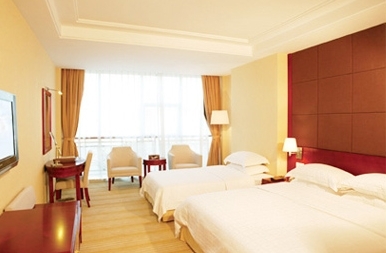 Located at the junction of Yingbin Road and Xingnan Road , next to the exit of Huanan Express Way , the hotel enjoys favourable geographical position and convenient transportation. It is only a 8-minute drive to Pazhou Exhibition Centre. Besides, there are famous scenic spots around the hotel like Chiemelong tourist spots, Yuyin Garden, Baomo Garden and shopping center such as Wanbo Center, Jicheng Wellborn Furniture Center and Market of Hotel Articles. With an area of 27,000 square meters, Vanguard Hotel has 230 deluxe rooms and other facilities like all types of western and Chinese restaurants, night clubs, SPA, conference rooms, business center and ticket center etc. 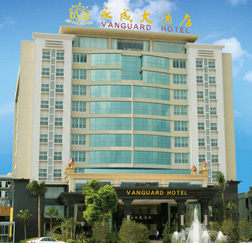 Vanguard Hotel holds 230 cozy and well-equipped rooms.